pioneer of computer science and in charge of hut 8! Our highly qualified Independent Surveyors can offer Building Surveys also known as Structural Surveys, Home Buyers Reports, Commercial Surveys, Engineer's Reports and Specific Defects Reports. We can also carry out Independent Valuations but please note these are not for bank lending but are to advise you how much we feel the property is really worth. 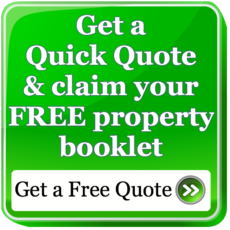 Please free phone us on 0800 298 5424 for a chat with a surveyor. All our surveyors are independent and are not attached to an estate agents, bank or building society and will offer you impartial advice. Why have an independent building survey with us? We are not wartime code-breakers but we are very good surveyors. As independent surveyors we feel you should always have an independent building survey as this will highlight any property problems. Caveat emptor means buyer beware and is why you need to have a building survey to find out if there are any problems within the property; the estate agent certainly will not advise you of any but we most definitely will! Remember the building Surveyor that you employ will be the only person working for you with your interests at heart. 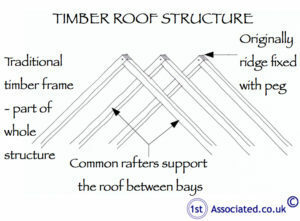 We have been on the internet for a long, long time and know that there is a lot of choice out there and would emphasis you use your common sense and have a look at examples of Independent Building Surveyors surveys before you buy. Double check the Surveyor has the right experience and knowledge of a structural survey and the property problems that you have. What is the purpose of the circles and ovals in our building surveys? 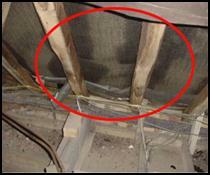 We use circles and ovals in our building surveys and structural surveys photo's like this one of damp in the roof space to highlight the problem areas making it easier for you to see exactly where the problem is. We also use our own sketches to give you a better understanding of the property problem. We include sketches commissioned especially for us like this one where appropriate in our surveys to give you, our client, a better understanding of your property problems.